University of Manitoba Con Ed Tunnel – Epp Siepman Engineering Inc.
Epp Siepman Engineering provided mechanical engineering consulting for the new service and pedestrian tunnel connecting Architecture II with Continuing Education. 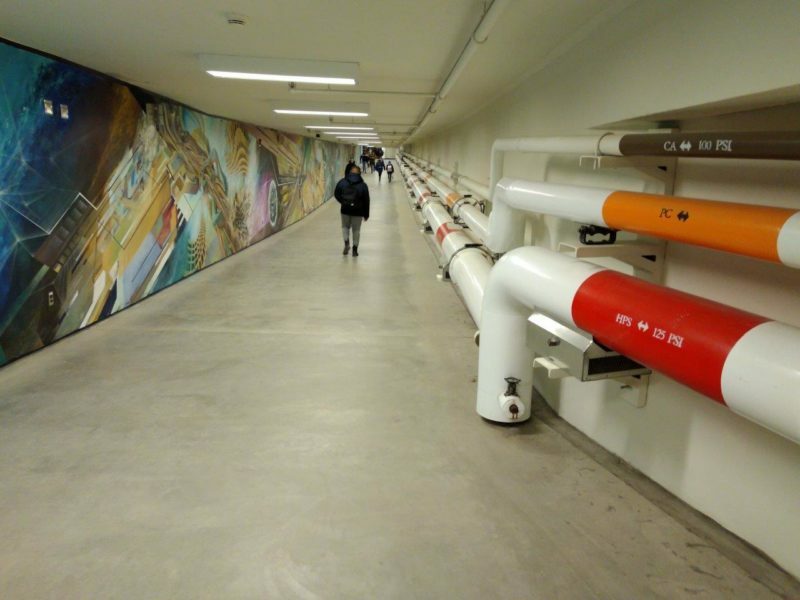 This tunnel is approximately 80m in length and contains central campus distribution piping for steam, condensate, and compressed air. The new tunnel construction required interruption and reconstruction of the major services, as well as the addition of a new mechanical ventilation system to suit pedestrian use.